The actor was due to star in 'The Deep Blue Good-By'. 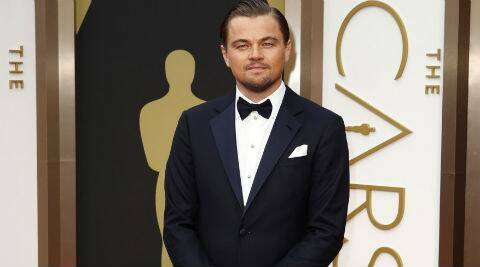 ‘The Wolf of Wall Street’ star Leonardo DiCaprio has dropped out of ‘The Deep Blue Good-By’. The 39-year-old actor was due to star in the movie adaptation, but will now no longer take the leading role, reported Digital Spy. The ‘Deep Blue Good-By’ is based on the book by John D MacDonald. The story centres on Travis McGee, a beach person who gets into misadventures during his salvage consultant jobs. The reason behind DiCaprio not starring in the film has not been disclosed yet. 2 Cate Blanchett gets tattoo to celebrate Oscar win?